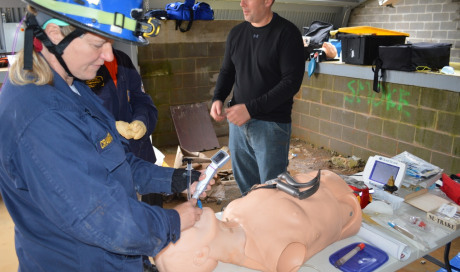 Guardian Centers provides training to responders, EMT’s, Paramedics, Nurses and Physicians responsible for providing care to patients exposed to hazardous materials. This training includes patients exposed to chemical, biological, radiological and nuclear incidents. This training includes personal protective equipment, proper decontamination procedures and appropriate medical care for the patient. Guardian Centers provides a multitude of Hazardous Materials and CBRN exercises and training. We can provide you with individual or team training as well as exercise scenario options to meet your specific requirements.